Birth tourism, where expectant mothers travel to Canada to give birth in order to secure Canadian citizenship for their babies, is a growing phenomenon here. Richmond, B.C., is the epicentre of birth tourism, a phenomenon that is spreading across Canada and may spark a divisive debate during next year's federal election. Birth tourists are pregnant women from other countries who travel here for the express purpose of having their babies in Canada. They are lured by consultants who tell them how to proceed. They live in what are called birth houses or birth hotels. They pay cash for the baby's delivery in hospital, and their newborns automatically are entitled to Canadian citizenship. Jas Johal, the Liberal MLA for Richmond-Queensborough, says about 20 per cent of the babies delivered at Richmond Hospital are now born to foreign mothers. That is more than 400 births this year, a substantial increase from 18 babies in 2010. Birth tourists pay about $8,000 for a natural birth and upwards of $13,000 for a caesarean section, in addition to consultancy fees and accommodation costs. "One report I've seen is that there are 26 birth houses in Richmond alone, catering to these women, providing pre- and post-natal care," said Johal, in conversation with Michael Enright, host of The Sunday Edition. "This is about affluent people guaranteeing citizenship for their children. And at its core that, I think, offends your average Canadian." Canada is an attractive destination because it is one of about 30 countries in the world that grants birthright citizenship — a person's right to be a citizen of the country in which she or he is born. It is a principle that President Donald Trump has vowed to revoke in the U.S., and it is now being questioned in Canada. This summer in Halifax, a majority of delegates at the federal Conservative policy convention voted to revoke birthright citizenship. A resident of Richmond, B.C., collected thousands of signatures on a petition calling for government action. Trump wants to end birthright citizenship in the U.S. According to a recent study of 292,000 babies born in English Canada in 2017, about 3,600 had mothers who live outside Canada. Jamie Liew, an immigration lawyer who teaches law at the University of Ottawa, does not view this as a major problem. She says 1.2 per cent of births is a relatively small number. And, she says, many of these mothers may not be birth tourists: "Some of this could include persons who might be Canadians who have residence abroad and came back to Canada to have their babies. It could also be international students. It could also be corporate transferees. It could be international students having premature births or tourists having premature births. And it could also be persons here on temporary work visas. "So it's really hard to say how much of the 3,600 – or that 1.2 per cent – really is a result of persons coming in just to have their babies in Canada." Johal says his constituents, the majority of whom are immigrants themselves, are expressing concerns to him about the growth of birth tourism. "Anecdotally, there have been times when mothers locally have been forced to go to Vancouver to have their children," he said. "In one case here in Richmond, we had complications in one of the pregnancies and the costs came up to over a million dollars. They've tried to find the mother in China. They aren't able to, so that's a million dollars the taxpayers will have to pay. Now, that's an isolated case, that doesn't happen all the time." He adds that it is time to take a detailed look at the pipeline that promotes and supports birth tourism: "We don't know who's making what money, we don't know who's involved, it's not licensed, it's not regulated, it's just happening, and I don't think that's right either. And so as Canadians, we shouldn't suffer from the tyranny of the polite and say, 'Let's do nothing.'" Liew believes these concerns are overblown, and that having a baby who is conferred with Canadian citizenship is not as advantageous as people think. "There's an uncomfortable tension here, where people are pointing at racialized persons and feeding into the fear that people are taking advantage of us and diluting our citizenship," said Liew. "As an immigration lawyer, it's not great advice to tell somebody, 'Have a baby and that's a pathway to getting status in Canada.' A child is not able to sponsor a parent until they are no longer a minor. And even sponsoring a parent under immigration law does not guarantee a positive outcome because Canada puts a cap on the number of parents and grandparents who can be sponsored every year." 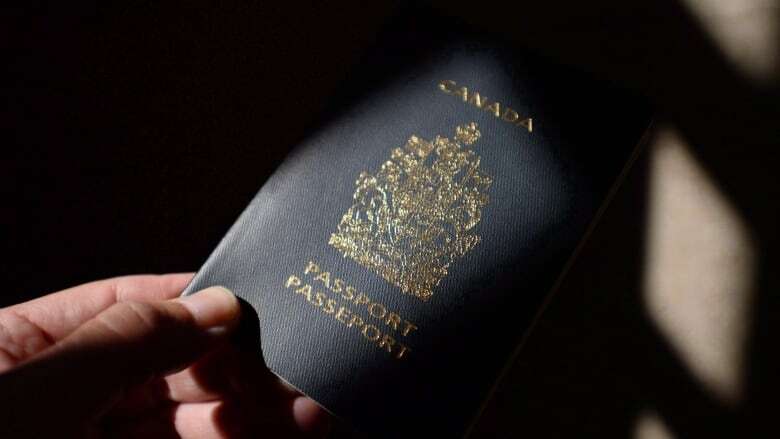 Johal and Liew agree that concerns over birth tourism could lead to a divisive debate over birthright citizenship during the next federal election. "I'm not interested in having a birthright citizenship debate. I value immigrants. I do not like what Donald Trump is doing in the United States. I do not like what I've been hearing in our national conversation," Johal said. Liew notes that, unlike the United States, birthright citizenship is not part of our constitution. It is part of our Citizenship Act and it would be relatively easy for a government to eliminate it. "Really, what is at the core of this discussion is that people do not think some people are deserving of this citizenship," she said. "Cutting the right to birthright citizenship would affect every Canadian. It would not stop migrants from coming. It would not stop the fact that some people would become stateless, even though they are deserving and eligible for citizenship. It would create a humongous social problem that would cost taxpayers far more."